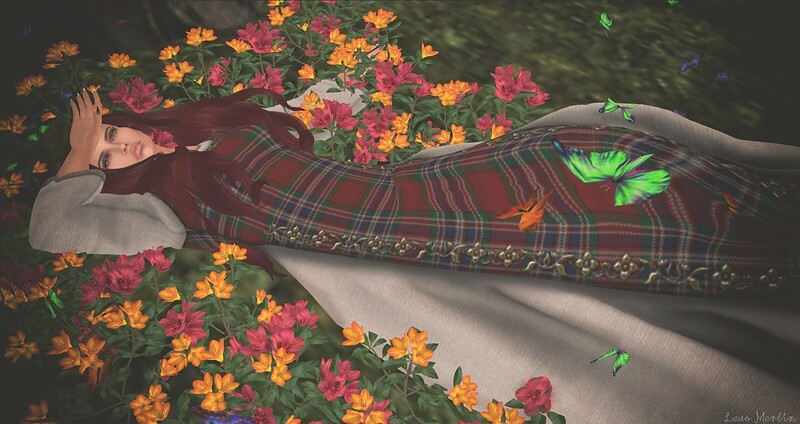 Dress: *SL* Nebula Outfit Gacha –Sweet Lies Original by hadarah steamer @ SaNaRae Event! Hair: /Wasabi Pills/ Kinsley Mesh Hair by rouge darcy & missallsunday lemon @ The Chapter Four. Outfit: *SL* Elizabeth Outfit Gacha – Sweet Lies Original by hadarah steamer @ SaNaRae Event! Outfit: Ohanna Outfit Pack #1 – Sweet Lies Original by hadarah steamer @ The Liaison Collaborative!